'Start Here': Dems shut down Trump's shutdown offer, and a 2nd US-North Korea summit is announced. What you need to know to start your day. Democrats have rejected Trump's latest offer to end the government shutdown. It's Monday, Jan. 21, 2019. Thanks for choosing to start here. On Saturday, President Donald Trump addressed the nation and laid out a proposal to end the government shutdown, including temporary protections for DACA recipients so long as he still gets $5.7 billion to build a border wall. Senate minority leader Chuck Schumer said he doesn't expect the legislation to pass the Senate. House Speaker Nancy Pelosi called the president's offer "a non-starter." The president on Sunday attacked Pelosi in a tweetstorm that included the following: "Nancy Pelosi has behaved so irrationally & has gone so far to the left that she has now officially become a Radical Democrat. She is so petrified of the 'lefties' in her party that she has lost control." ABC News Political Director Rick Klein says Democrats will be forced to respond to the specifics of the proposal after weeks of non-negotiations. The White House on Friday announced that Trump and North Korean leader Kim Jong Un are planning a second meeting toward the end of February. An exact time and location have not yet been announced. ABC News' Conor Finnegan tells us that the regime has still not verified denuclearization efforts. 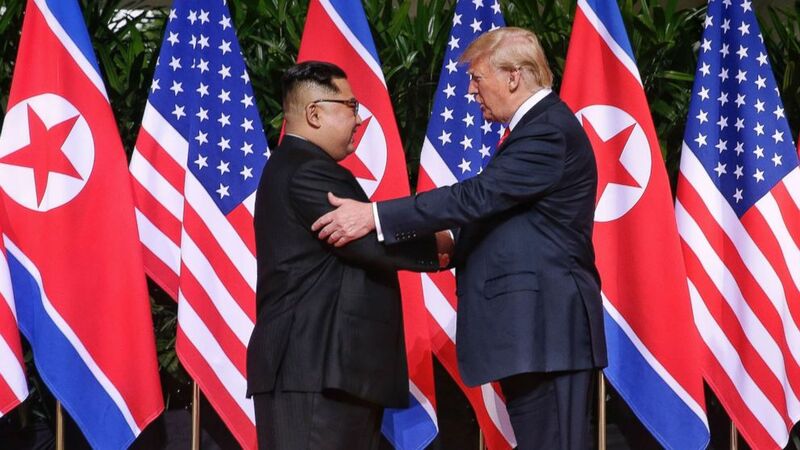 (Getty Images) North Korean leader Kim Jong-un shakes hands with President Donald Trump during their historic U.S.-DPRK summit at the Capella Hotel on Sentosa island on June 12, 2018 in Singapore. Over the weekend, video went viral that appeared to show a Native American elder in Washington, D.C., being confronted by a high school boy wearing a "Make America Great Again" hat. The student, who attends an all-male Catholic school in Kentucky, was part of a group attending the annual March for Life. The Native American man he encountered was with a group participating in the Indigenous People's March. The Indigenous Peoples Movement said the incident showed a fundamental lack of respect. In a statement late Sunday, the teen, Nick Sandmann, a junior at Covington Catholic High School in Park Hills, disputed some of the claims by Nathan Phillips, the drum-playing Vietnam veteran who said he heard chants from Sandmann's group about building a wall. "I realized everyone had cameras and that perhaps a group of adults was trying to provoke a group of teenagers into a larger conflict," Sandmann said. "I said a silent prayer that the situation would not get out of hand." ABC News' Erielle Reshef walks us through the incident. 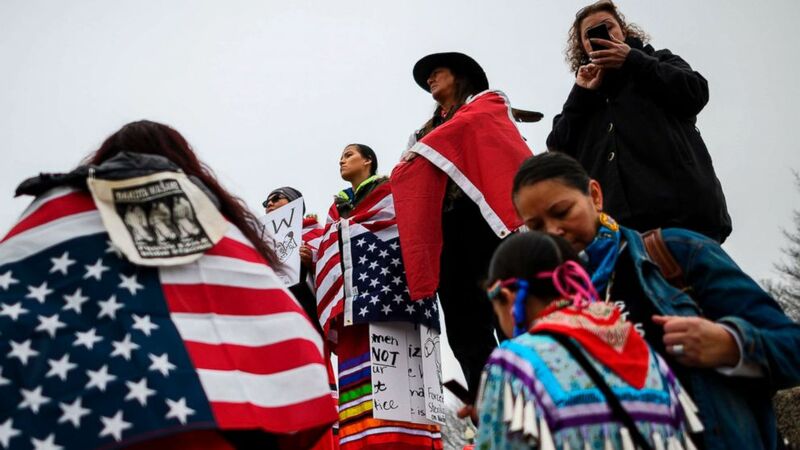 (Andrew Caballero-Reynolds/AFP/Getty Images) Activists listen to speakers during the Indigenous People's March on the National Mall at the Lincoln Memorial, Jan. 18, 2019. A study in the Journal of the American Medical Association has found that counties with increased opioid marketing aimed at doctors also tended to have higher rates of overdose deaths. Dr. Scott Hadland, a pediatrician and addiction specialist at Boston Medical center, says that while the findings are striking, he still believes opioids have a legitimate use in medical care. 'It would mean the world to me if Prince Philip said sorry, but I have no idea if he's sorry at all': Two days after being involved in a traffic accident, the 97-year-old duke is back behind the wheel -- and not wearing a seat belt. 'We need to solve this now and get our educators and all of our students back in the classroom': Negotiations continue between striking teachers and the Los Angeles Unified School District. 'Beautiful weather all over our great country, a perfect day for all women to march': The president tweets sarcastically about the Women's March. 'The last ten years clearly shows that we have learned nothing': A new report by Oxfam shows the rich still getting richer and the poor still getting poorer. Will Trump's compromise help end the shutdown? And was it even a compromise? : So, the question in front of us: Is this offer likely to end the shutdown? And, more generally, is this a smart move politically by Trump, who's seen his job approval rating erode as the shutdown has dragged on? 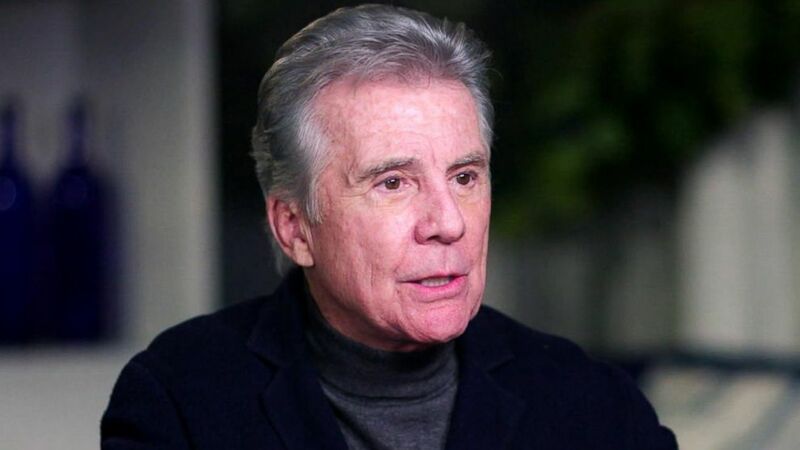 John Walsh returns to TV: The acclaimed host of "America's Most Wanted" talks with "Nightline" about returning to television with his son, Callahan Walsh, for "In Pursuit With John Walsh." The acclaimed host of "America's Most Wanted" talks with "Nightline" about returning to television with his son Callahan Walsh in their new show "In Pursuit With John Walsh." Raising the bar to go viral: From people jumping off cruise ships to wearing a blindfold to do everyday tasks, the stakes are getting higher for viral stunts. "Nightline" examines how social media platforms are responding. 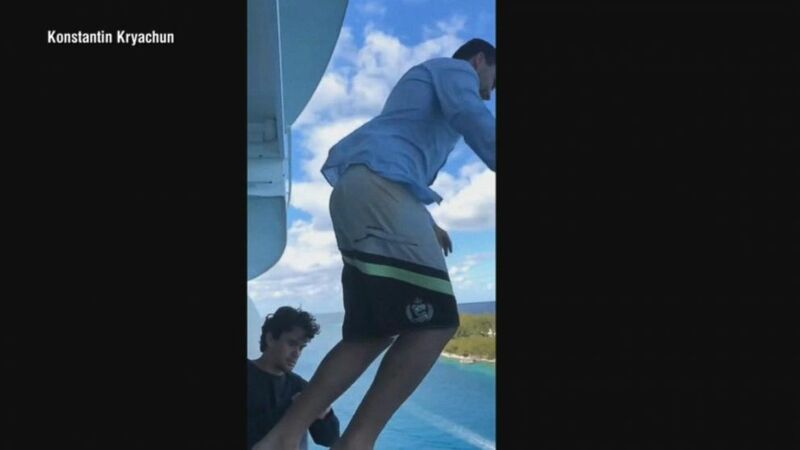 From people jumping off cruise ships to wearing a blindfold to do everyday tasks, the stakes are getting higher for these viral stunts. "Nightline" examines how social media platforms are responding. Jan. 21, 1994 -- Lorena Bobbitt is found not guilty by reason of insanity. Lorena Bobbitt found not guilty by reason of insanity. 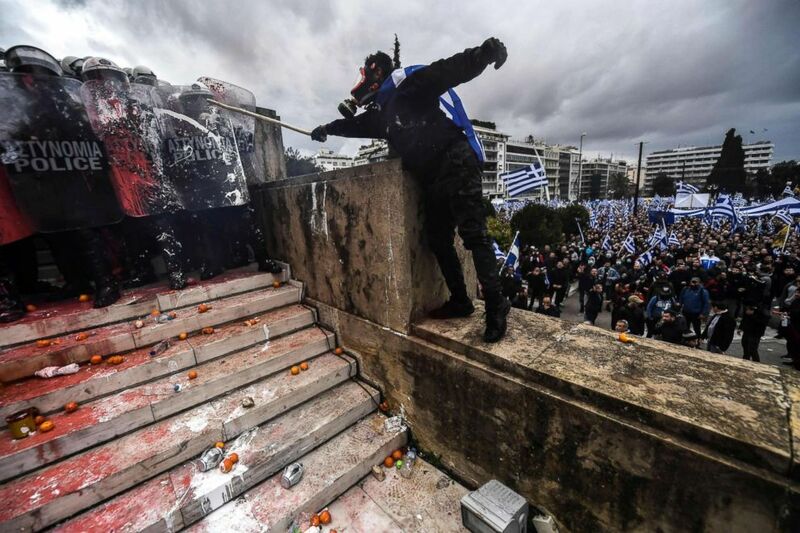 (Aris Messinis/AFP/Getty Images) A demonstrator clashes with riot police in front of the Greek Parliament in Athens, Jan. 20, 2019, during a protest against the agreement with Skopje to rename neighboring country Macedonia as the Republic of North Macedonia.The proposal faces resistance in Greece because of what critics see as the implied claims to Greek land and cultural heritage. For most Greeks, Macedonia is the name of their history-rich northern province made famous by Alexander the Great's conquests. 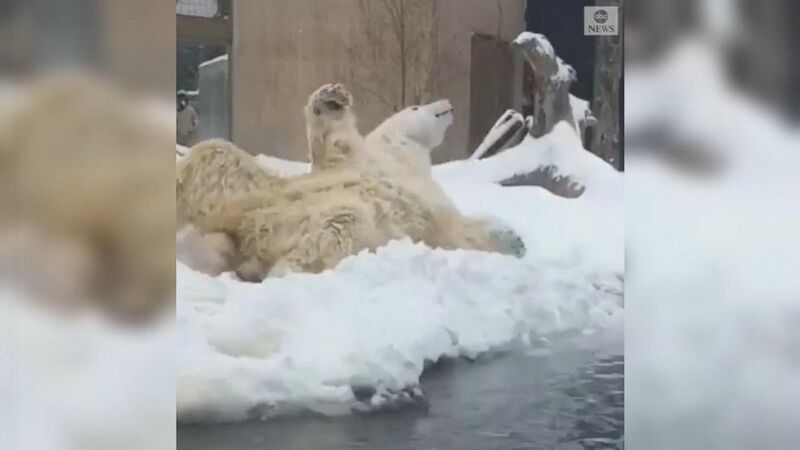 While just about everyone else was staying warm inside, Sakari the polar bear had a field day in the freezing conditions at this zoo. While just about everyone else was staying warm inside, Sakari the polar bear had a field day in the freezing conditions.